Posted on December 4, 2015 by thelostlighthouse	in Podcast and tagged Batman, Batman V Superman Dawn of Justice, Batman Vs Superman, Captain America, Captain America Civil War, comics, daredevil, Dawn of Justice, DC, DC comics, gaming, Iron Man, Jessica Jones, Kevin Bacon, Kilgrave, Krysten Ritter, Marvel, Marvel Netflix, MCU, Mike Colter, Netflix, Pacific Rim, podcast, Sci-Fi, Secret Wars, Superman, The Lost Lighthouse, theweeklyrapture, TLL, Tremors, Warner Brothers Montreal. This week we chatted about the Captain America: Civil War trailer, the Batman Vs. Superman teaser (the rather spoilery trailer was released after we recorded), Marvel’s Secret Wars delays and Kevin Bacon returning to Tremors, while Gary cuts off entire news segments and Adam remembers Kevin Bacon is actually a good actor. 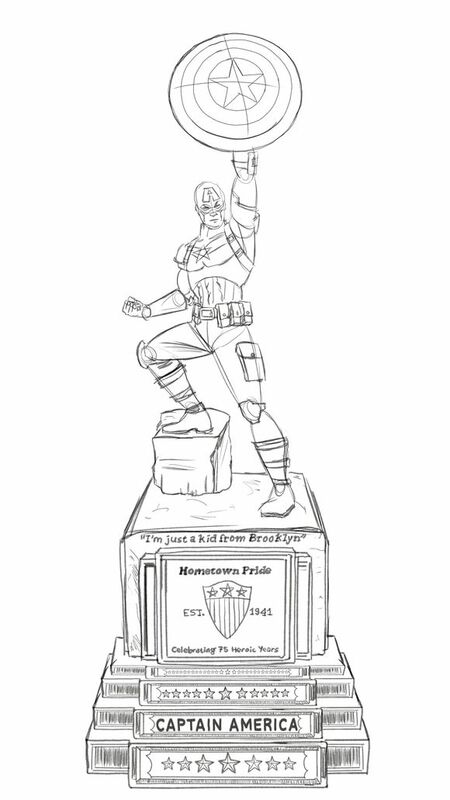 Gary in 60 seconds was ”Pacific Rim’, with Gary attempting to take on kaiju and jaegers in under a minute. Keep an eye on twitter for the poll for next time! This week’s main talking point was Jessica Jones, the new dark superhero TV show from Marvel and Netflix. We talk about what we liked (a lot), what we didn’t (not much) and how it all fits in the MCU. It’s light on spoilers, but if you’re worried about finding out anything at all before you watch it then you can skip the second half of the podcast from 32 minutes in, and listen later to see if you agree with us! What did you think of Jessica Jones, or anything else we’ve talked about this week? You can as always get in touch through Facebook or on Twitter @lost_lighthouse, email us at thelostlighthouse@live.co.uk or sound off in the ‘leave a reply’ box at the bottom of the podcast page on the website. Fancy supporting our site? Head on over to our Paypal donation page! It’s completely optional, set your own price! Even £1 helps us with hosting costs (which are coming up this month…) and we’d really appreciate it! Cheers! 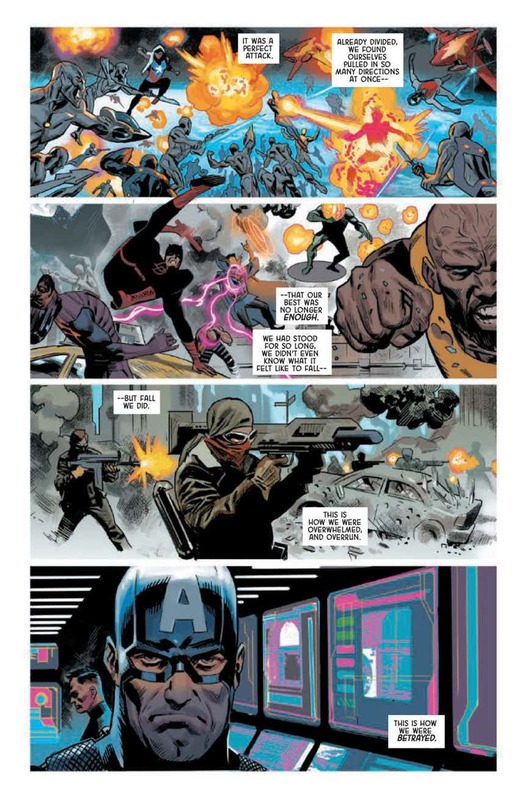 Posted on November 12, 2015 by thelostlighthouse	in Comics, Literature and tagged Adam Kubert, All New All Different, All New All Different Avengers, All New All Different Marvel, Avengers, Captain America, Chitauri, comics, comics reviews, Cory Petit, Dave McCaig, Iron Man, Kamala Khan, Literature, Mahmud Asrar, Mark Waid, Marvel, Marvel comics, Miles Morales, Ms. Marvel, Nova, Sam Wilson, Sci-Fi, Sonia Oback, The Lost Lighthouse, Thor, TLL, Tony Stark, Ultimate Spider-Man, Vision. “Great, she thinks I’m a lunatic. Don’t be nervous, just say something funny. SAY SOMETHING FUNNY.” – Nova doing about as well as I did when I met my now fiancé. First things first, I’m engaged. I asked the question last weekend in the most spectacularly nerdy way I could – buy building my now fiancé a game where I ask her in the end. Bearing in mind I know nothing about programming I feel this was quite a feat! She said yes, she’s stuck with me now, success! Anyway, you’re more interested in getting into the comic book review, aren’t you? Well now I’ve got that personal note out of the way I’ll get on into it. I’ve had a hell of a busy week with work and feeling smug, but I have managed to fit in an issue of the All-New, All-Different Avengers! 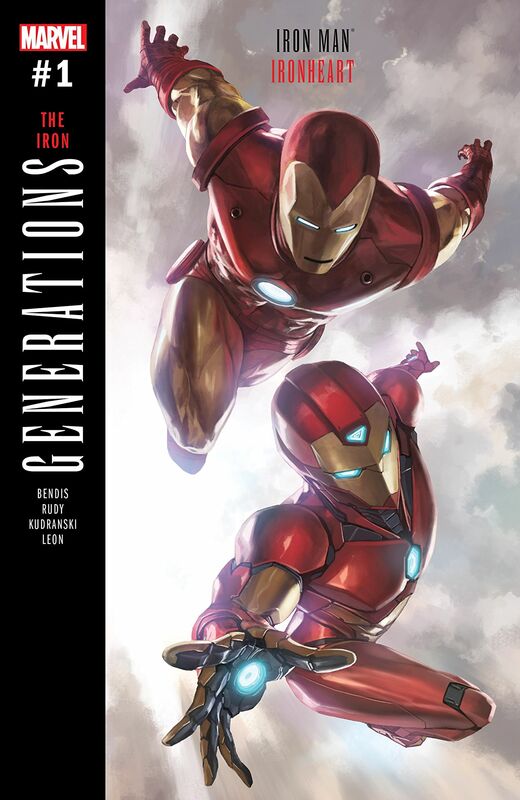 Written by Mark Waid with art by Adam Kubert and colours by Sonia Oback for the main story, and Mahmud Asrar and Dave McCaig in the back up story, with letters from VC’s Cory Petit. It’s yet another Marvel new starter, I picked it as I’m sure it’ll be one of their big pushes over the coming months, bringing in a lot of familiar faces into the line-up. Sort of. We currently have Captain America, Thor, Spider-Man, Iron Man, Vision, Ms Marvel and Nova. And only two of these are the ‘original’ versions of themselves. Currently wearing the titles we actually have Sam Wilson (you’ll know him as Falcon in the films), Thor – but female (actual identity is a secret), Miles Morales (started off as Ultimate Spider-Man after Ultimate Peter Parker died), Tony Stark, Vision, Kamala Khan (took over as Ms Marvel) and Sam Alexander (not the original Nova, I don’t know much about him yet!). 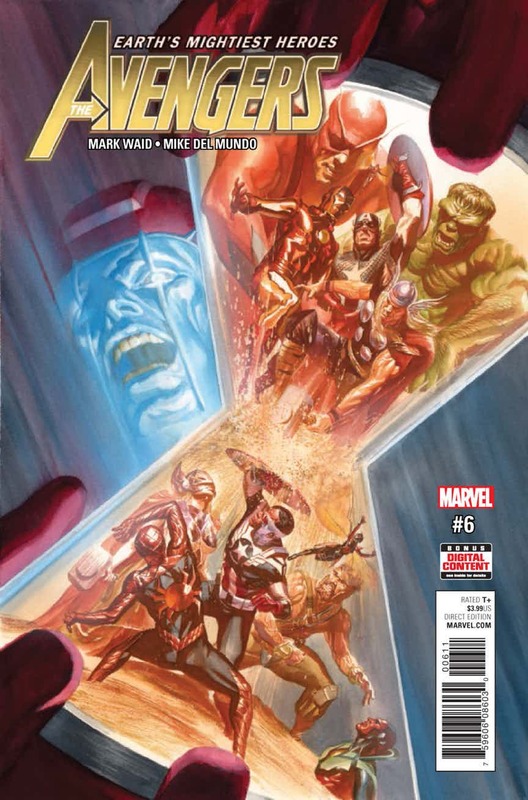 So there you have it, it’s an All-New, All-Different Avengers, literally (not counting Iron Man or Vision). I went into this comic quite hopeful, I’ve really enjoyed this Thor and Spidey’s stories so far and I always like seeing stories mix things up a bit. And this is the ultimate mix up! 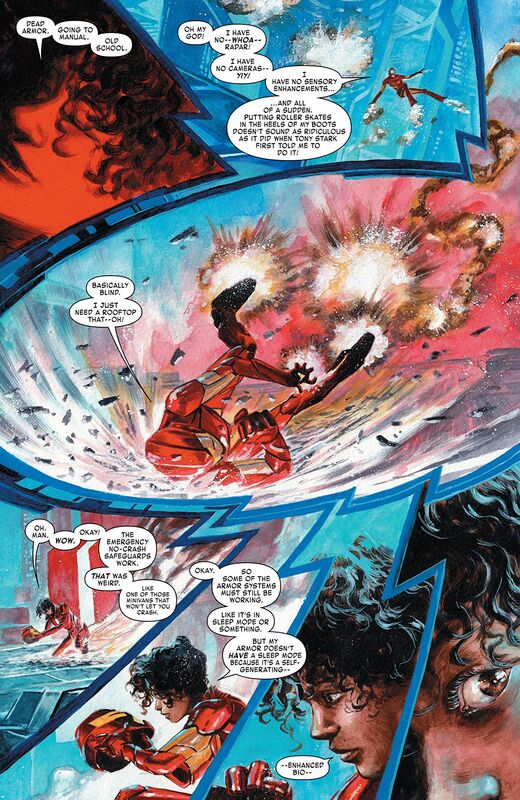 The very first page shows Ms Marvel calling Nova a jerk, standing on a huge pile of rubble, no context given, yet. 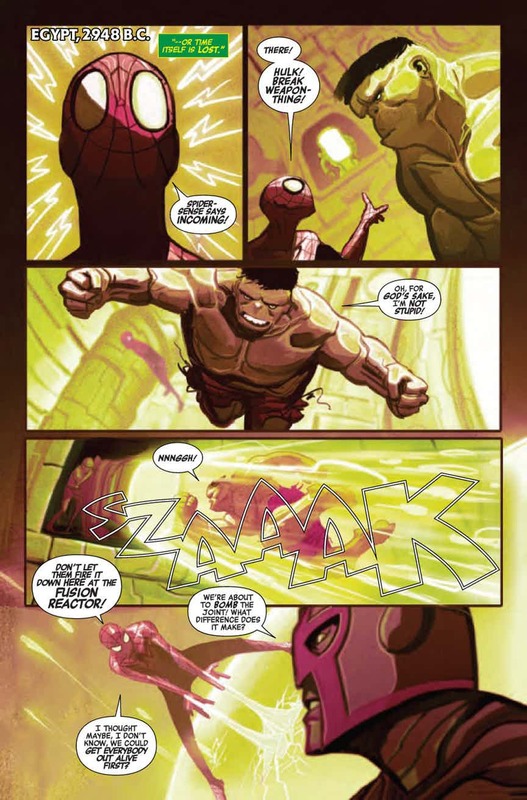 The story itself begins with Captain America and Iron Man meeting up and stumbling across a huge explosion/blast of energy that Spider-Man was near. It turns out Warbringer, one of Nova’s enemies has teleported to Earth and is there to well… bring war. 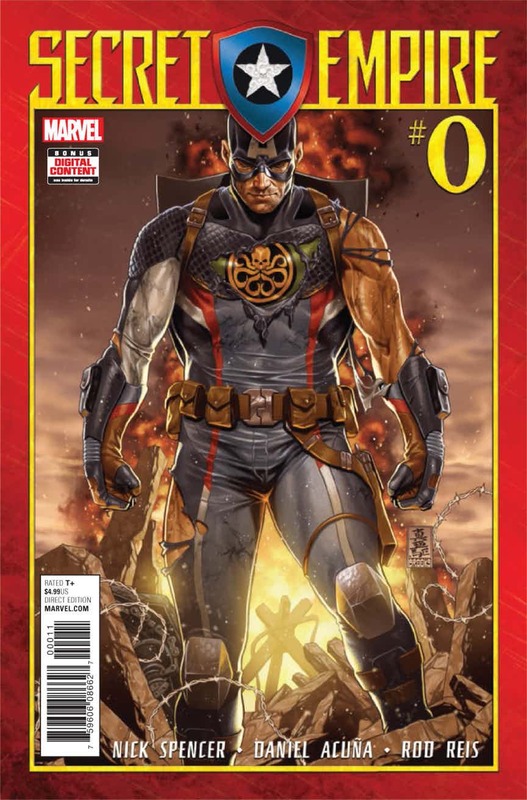 He happens across a potential ally is his war-bringing plans, only to be set upon by the Avengers. After a very quick bout the story cuts away to Ms Marvel and Nova. A beast has been let loose and is on the rampage and they team up to take it on. To then VERY awkwardly introduce themselves. Nova tries to hit on Ms Marvel, he’s about as smooth as I am, which is roughly on par with sand paper. I think there was a bit much happening by coincidence in this issue, but the character interplays were great. I enjoyed the Ms Marvel – Nova exchange a lot and I feel team up stories are usually built on these moments and on that front it’s a good start. It’s a start. I was disappointed not to see much of Thor (who has been incredibly badass in her own story!) or Vision yet, but there are only so many pages and bringing all seven characters into one issue may have been a bit much. As I mentioned I feel there was maybe a bit much happening be coincidence in this issue, but with some good writing coincidence can be fine to start a story as long as it isn’t used to end a story. I’ll give issue two and three a try most likely, it’s a fine start. Final Score – 7.5 Awkward Pick-Up Lines out of 10!